There is overwhelming evidence that a diet high in added sugar during childhood puts kids at an increased risk for heart disease, obesity, and hypertension in childhood and young adulthood. In response to this danger, in August 2016 the American Heart Association (AHA) released guidelines for sugar intake in children ages 2 to 18. They recommended that children consume no more than six added teaspoons of sugar each day through food and beverages. This equates to 25 grams of sugar or an additional 100 calories per day. The AHA recommends that children under 2 years old should not consume any food or beverages with added sugar. Back in 2010, the National Institutes of Health (NIH) released data from the National Health and Nutrition Examination Survey (NHANES) which concluded that the top five sources of calories for 2–18 years olds were desserts (including cakes, cookies, donuts, and pies), pizza, and soda. Since this study was published, the amount of sugar that children are consuming continues to rise, particularly from sweetened beverages. 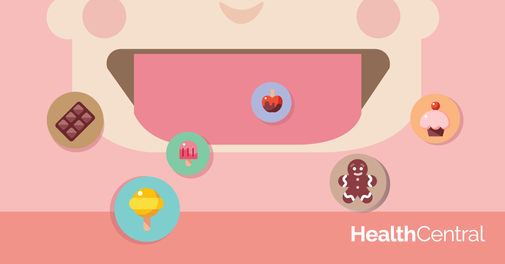 Tooth decay is also a concern for children who consume a diet high in sugar. The WHO therefore recommends that added sugars be limited to less than five percent of total caloric intake for children. How can you decrease your child’s overall sugar intake? As a registered dietitian and a mom, I know that with the increasing prevalence of processed and convenience foods on the market, it’s difficult to avoid added sugars. Here are a few tips to cut back on your child’s sugar intake. Fact: Kids do not need juice, sports drinks, or soda. Even competitive athletes who are exercising for several hours each day can get all of the essential nutrients and proper hydration by eating a balanced diet and drinking adequate water before, during, and after exercise. The vitamins in juice can easily be obtained by eating fresh fruit. Fresh fruits provide more nutrition and fewer calories than juice. Many sports drinks and sodas contain caffeine, which can affect a child’s growth and development. Milk is a much better choice than juice for your kids. Since it has 8 grams of protein per cup, it will leave your child feeling more satisfied (juice has no protein and more calories than milk). Choose fat-free or 1 percent milk to limit saturated fat and calories. If your child doesn’t like the taste of plain milk, consider putting a splash of low-fat chocolate milk into their white milk for added flavor. Most kids love sweets, so they shouldn’t be deprived of their favorite treats. But if you make them yourself, you can control the amount (and type) of sweetener that you use. Natural sweeteners like dried or pureed fruits can be added to cookies and bars to enhance the flavor of your favorite recipes while decreasing added sugar. 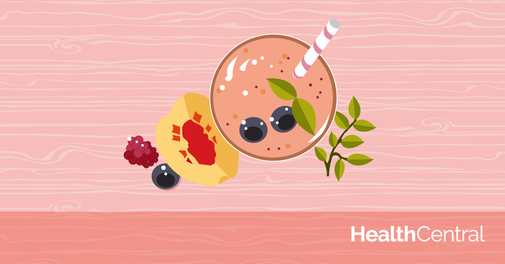 If your child wants a milkshake, try making one with frozen fruit and yogurt rather than just milk and ice cream. As a good rule of thumb, look for products that have 5 grams or less of added sugar per serving. This includes breakfast cereals, granola bars, and other lunchbox snacks. Many products on the market today now advertise “reduced sugar” or “less sugar” on their labels to appeal to those looking to cut back on sugar. If your child deserves a special treat for good behavior or a great report card, take them to a park, go for a family bike ride, or purchase a book or toy. Using sweets as rewards on a regular basis often leads to excessive sugar and caloric intake. Consuming too much sugar isn’t just a problem for kids. A January 2017 study shows that adults add more calories to their coffee and tea than they think they do. On average, adults add 69 calories to each cup of coffee and 43 calories to each cup of tea they drink. Coffee and tea beverages purchased outside of the home often contain even more calories and added sugar. Cutting back on the sugar in your food and beverages can have a positive result for weight loss and heart health for your entire family. See More Helpful Articles: Sugar vs. Fat: Have We Been Misled? Secret Names for Sugar Is Juice Good for Children?